The Pretrial Intervention Program (PTI) can offer individuals, generally first-time offenders charged with indictable offenses, an opportunity to avoid a criminal conviction. PTI is used as a deterrent for future criminal behavior. In most cases, only individuals charged with non-violent crimes are eligible to participate in this program. Second Degree offenses are are also typically not eligible, but this is not always the case. Usually, supervision under the PTI program ranges from one to three years. Those admitted in the PTI program have to abide by certain rules and conditions. For example, a person participating in PTI may be subjected to random urine monitoring, community service, and/or payment of restitution. Certain individuals may be subjected to psychological, drug and alcohol evaluations, and/or treatment programs. PTI is often thought of as a period of probationary supervision with the opportunity to avoid a criminal conviction on your record. If PTI is successfully completed then the original charges are dismissed and the individual avoids a criminal conviction. However, if PTI is not successfully completed then the individual is terminated from the program and the case is returned to the trial list where it could proceed to a trial or a plea agreement. Under the PTI statute, N.J.S.A. 2C:43-12, when deciding an applicant's admission into the program, the prosecutor and program directors consider the applicant's amenability to correction, responsiveness to rehabilitation, and the nature of the offense. What happens if you're denied from PTI? If you wish to challenge the decision of a program director not to recommend, or of a prosecutor not to consent to, enrollment into PTI, we can file a motion and appeal that decision, pursuant to the rules of court, with the designated judge on your behalf. 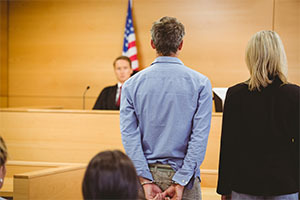 At LS&P Lawyers our attorneys can meet with you to discuss all aspects of the Pretrial Intervention program and discuss your potential eligibility.